We are now in the 43rd NECC Girl’s Basketball Tournament, and we may have ourselves quite the week of prep girls hoops for the next 5 days. 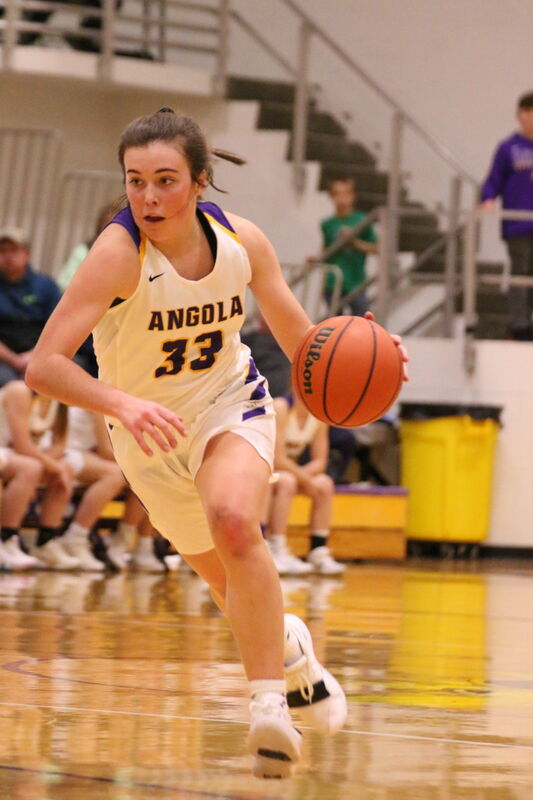 Last year saw the Angola Lady Hornets dethrone the two-time reigning tourney champion Central Noble Cougars and a classic title win over the host West Noble Lady Chargers. Who will win it all? Let’s dive into each team as we get underway in the NECC. Note: the Hamilton Girls will not participate in this year’s tournament which gives CN the automatic bye. The great thing about tournaments is that anything can happen. Teams should go into each game EXPECTING the UNEXPECTED. That means no one takes anyone lightly. The Consolation Rounds will only be played by schools that either lost in the first round or if they had a bye and lost in the quarterfinal round. Those games will be played on Thursday January 10th. The consolation matchups and locations will be determined after the conclusion of the first round games. However, because of Hamilton not participating in the girls’ tournament, I believe there will only be 2 consolation girls matches. However, we will still have 3 boys consolation games. It’s just that one of those locations may only have to host the boys match. So, pay attention for any news and make sure you follow one of the 12 NECC athletic directors for more info regarding this tournament if you haven’t done so yet. For those of you that don’t have Twitter, I insist creating a new account. It’s easy and the format is pretty straight forward once you get the hang of it. Plus, don’t forget to follow the NECC athletic page and the entire KPC News Sports crew: Sports Director Ken Fillmore (@KenFillmore), Kendallville News Sun sports writer Taylor Lehman (@TaylorRLehman), Editor of the Herald Republican in Angola, IN Chris Reed (@Chris_M_Reed), sports writer for The Star in Auburn, IN Brice Vance (@BriceVKPC), and your prognosticating cow Hannah Holstein (@WondercowKPC) for coverage throughout the tournament. Plus, I am sure they will have their own preview of the NECC tournament that’s probably way more professional than someone writing a blog like me. They’re the favorites for 2 reasons: 1.) they’re the reigning state champions and 2.) they’re the only undefeated team in the area regardless of gender. While Sydney Freeman and Meleah Leatherman makes any team an instant contender, it’s the team’s depth and their defensive intensity that puts them over the top. For them to win their 3rd tourney title in 4 seasons, staying healthy and the 2-way performance from the entire team will be key to succeed. CN leads the NECC in both offense (56.8) and defense (29.9 ranked 3rd in the state). The challenge for this team will be: how prepared are they mentally to play 4 tournament games in 5 nights? They struggled in last year’s tournament, and when you haven’t lost since January 16th, 2018 (a 25-point loss @ Fairfield), it gets harder for a team to maintain that intensity and effort after winning 25 in a row. However, I expect CN to be fully ready to play. Central Noble gets an automatic bye to the second round and will host the Westview/Eastside winner on Wednesday. Meleah Leatherman is extremely difficult for opposing teams to defend in the paint or in pick n roll situations, but if they don’t do their homework on Syd, they’re done. If you don’t follow the Cougars or the NECC, then Bridgette Gray is not a name you’re too familiar with. Despite shooting 35%, Gray’s numbers have significantly went up from where she was last season at an average of 9.7 points, 3.6 boards, and 1.9 steals. She has also been better from the charity strip at 62% compare to just 41% last season. Bridgette scored a career high 18 points in CN’s 68-48 win over Bremen. I could have given this title to Sam Brumbaugh or Jocelyn Winnebrenner, but I’m going to say if CN wins the tourney, I think it’ll go to sophomore Lydia Andrews. Lydia isn’t a player that wows people from the stat sheet, but Andrews’s relentless play on both sides of the court is contagious for everyone else on the team to keep playing with that edge. Not only are they the reigning tourney champions, but they still have the majority of their players back from that group and their full-court pressure defense is one of the most difficult to score on when they’re at their best. This is a team that’s coming into the tournament on a roll as they’ve been scoring at least 50 points in 6 of their last 7 games with 4 conference wins over Lakeland, West Noble, Prairie Heights, and Fremont while blowing out sectional rival, Woodlan and regional rival East Noble. Their side of the bracket could potentially be favorable for Angola since they wouldn’t be playing anyone in the first 3 rounds that is ranked higher than 5th in the conference standings. They draw a first-round home matchup on Tuesday vs a Fairfield team that has struggled this season. In Angola, Hanna Knoll is the player that can take this team to the promise land based on her performance. She’s been averaging over 12 points a game with about 2 assists, a strong presence from the paint and from distance, and she’s piling up over 4 steals a game while shooting 36%. Her blazing speed is what makes her so difficult to defend and how she has become one of the better all-around guards in our area. I still don’t think there’s enough acknowledgment for how important senior Reace Peppler has been for her team’s success, especially when they were losing 4 straight in late November to early December. Peppler has been averaging 10 points a game, 3 boards, shoots 40% from downtown and 41% overall and plays a 50-foot game (which means she always plays with a good effort). A nice complimentary piece in the starting lineup for Knoll. Again, the numbers don’t stand out from the rest, but freshman Lauren Leech could be the player that starts to blossom in the NECC tourney. Now is she going to post Meleah numbers? Probably not. Only averages 4 points and nearly 4 boards. But, she could be one that could help Angola defend their title. Leech scored a career high 11 points along with 5 boards vs Woodlan. I almost considered making the rest of the team as the unsung heroes because they’re all so important to that culture up at the Hive. However, I think the biggest Unsung Hero may wind up being Kayla Fenstermaker. Fenstermaker isn’t a huge scorer, but she’s a very good defensive guard despite her height and she’ll have games like the Prairie Heights game where she’ll get 8 steals and score 13 points. The Lady Lakers are a team on the rise led by sophomores Bailey Hartsough and Keirstin Roose. This is one of the bigger teams in the NECC with one of the more versatile frontcourts in the tournament. They facilitate the NECC’s 2nd best offense, trailing only CN. However, the one area that could make or break is their performance on defense that has seen mixed results. While it has greatly improved from the program’s down years, their defense will either take them far or come up short. They draw a bye and will host West Noble on Wednesday at 6 p.m. The Lady Lakers on Friday had a gutsy 4th quarter comeback as they went on a 18-3 run to beat West Noble 59-46 led by Bailey Hartsough’s 29 points. Now that they have been able to beat one of the elite teams in our area, maybe that win can give Lakeland some confidence moving forward against these kind of teams. Regardless of how good or how deep this team is, how well the 5’11 sophomore forward does will determine how far this team goes. Hartsough is the NECC’s leading scorer at 19.7 points, 10th in boards (5.5), 5th in assists (2.7), 3rd in steals (4.7), and 7th in blocks (0.8) all while shooting 41%. She has been pretty reliable from the free throw line shooting 77%. If there’s a better time for the sophomore point guard to get hot, this would probably be the best time to do so. Roose has shown signs of being a pretty good all-around guard, but we have yet to witness her full potential partially due to injury. She has picked up right where she’s left off this season, but she could be a big piece of a deep run. Roose is averaging 7 points and 3.8 boards despite shooting 26%. Tournaments are where your seniors shine the brightest. While their one senior has not been the superstar there, it would be an understatement to say that Makayla Mast has been as vital to her team’s success as their leading scorer. The 5’6 senior has been averaging 6.8 points, 3.9 boards, 2.4 assists, and 2.3 steals all while shooting a solid 55%. Senior leadership, defense, and depth will be 3 areas that will either avenge West Noble’s back to back losses in the title game or another loss that’ll only have them thinking “what could have been”. The Lady Chargers are as deep as anyone in the NECC and their backcourt is what makes WN a tough team to stop every night. Can’t guard just one or two players to beat them. You guard everyone at WN to beat them, and their 7 seniors solidified as one of the most experienced teams in the area. They have the conference’s 3rd ranked offense and defense. West Noble has a bye and will travel to the deep pastures of LaGrange County to face an up and coming Lakeland Lady Lakers team on Wednesday. This isn’t the first time that the 5’9 senior forward has performed in this spotlight. Madison Schermerhorn will need to be that leader for West Noble again for her team to have a shot at a tourney title. Schermerhorn averages 6.9 points a game, ranked 6th in the NECC in rebounds (6.6) and blocks (0.9), and is tied for the assists (4.4), and leads in steals (5.9) all while shooting 35%. Senior Megan Godfrey known for her golfing skills is averaging 9.3 points, 5.9 boards, and 2.4 steals all while shooting 43%. Senior Lauren Burns averages 7.5 points 1.7 assists and nearly 3 steals a game despite shooting 27%. This is the time where the entire NECC will be starting to get acquainted with the sophomore shooting guard Lillian Mast and her performances could be the final piece of the puzzle of a championship caliber team moving forward. Mast as a sophomore is ranked 7th in the NECC in scoring at 12.3 points, 10th in assists (2.0), and is ranked 6th in steals (3.7) all while shooting 41%. She is also 60% from the charity stripe. For this one, I’ll have to select two heroes because seniors Tori and Tara Miller are both going to be equally important players that not too many people will be talking about. How they play on both sides of the court could be monumental for West Noble’s success. Garrett has a nice ball club led by senior leadership from girls like McKenzie Casselman and a strong freshman class that includes Faith Owen. Garrett draws a favorable first-round matchup at Busco vs a young Lady Eagles team. Their first meeting with them wasn’t exactly their best outcome even though they did pick up a 10-point win. Despite being ranked in the middle of the pack on offense, they allow just 36.4 points a game, which is the NECC’s 2nd best behind CN’s stout defense that only allows 29.9 a game. If Garrett’s defense can be as good as it has been for most of this season, they’re a buy-low candidate for a potential upset in the tournament. This is how Garrett basketball is being played and why they are so successful for a good majority of the last 20 seasons: lunch pale defense with grit. You have to out work them in order to beat this team. At Garrett High School, The team’s success in the biggest stage will come from their 1,000 point scorer McKenzie Casselman. While she got off to a very slow start, her numbers are starting to pick up as she is 11th in the NECC in scoring at 9.9 points, 12th in boards (5.3) and 2nd in 3’s made (29) all while shooting 43%. She also shoots a reliable 78% from the free throw line. If there’s one name I would most likely to pick for Garrett, it would be the freshman guard Faith Owen. Owen is ranked 8th in the NECC in scoring at 11.6 points and is 3rd in 3’s (28) all while shooting a reasonable 38%. She’s been nearly automatic from the charity stripe at 83%. Don’t count out senior Lexi Baver or another freshman Nataley Armstrong as the other candidate on this list who’s tied for the leader in assists in the conference at 4.3. Defense and leadership are keys to any tournament, and for Garrett, it begins and ends with senior center Camden Bodey. Bodey is averaging 6.9 points, 5.4 boards, and 0.7 blocks all while shooting a reasonable 51%. Depth. They don’t score a ton of points, but they have 7 to 10 players that can make big plays on any given night. Fremont is ranked 5th in the conference in offense at 43.5 and are a middle of the pack team on defensive efficiency. They’re the favorites in their 1A sectional, but for them to have a chance in this tournament, they’ll need consistent production on offense. They get a bye and draw a favorable matchup @ Prairie Heights against a growing Lady Panthers team. This one’s a bit debatable, but I’m going to take the lone senior on this squad Bella Dangerfield who has been their leading scorer and the 2-way guard for Fremont. Bella is ranked 9th in the NECC in scoring at 11.2 points while averaging 4.2 boards and 2 steals and shooting 35%. 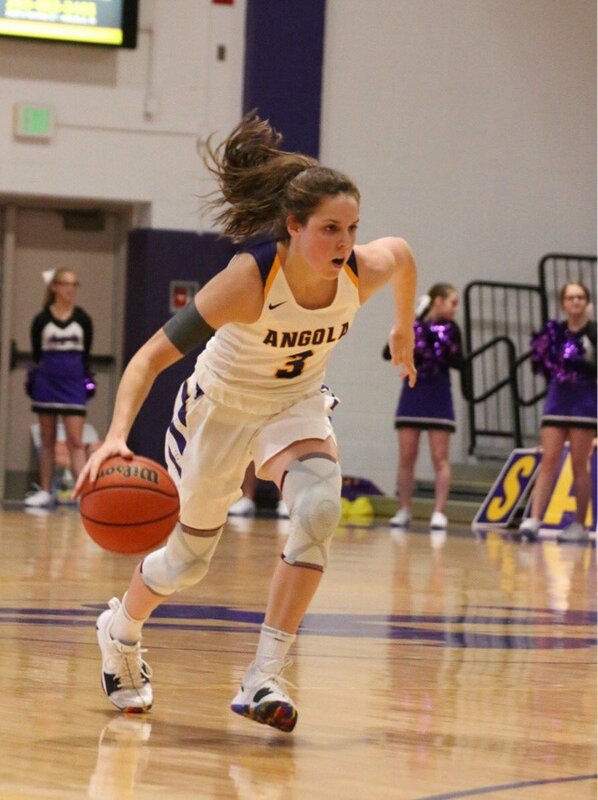 Junior forward Samantha Kuhn has been a good player for the Lady Eagles, but maybe this tournament will be an opportunity for her to showcase her potential to a larger audience. This is an improving ball club as we speak with a winning attitude. It’s been a tough season for the junior so far as she’s averaging 5.8 points and 3.3 boards while shooting 31%. If she can get her confidence up, that can help her team make noise in the tourney. I’m going to take left field on this one as I’ll pick the freshman Jada Rhonehouse because there’s a saying that “the apple doesn’t fall far from the tree”. There was Shae Rhonehouse that eventually became the program’s all-time leading scorer and the driving force behind tons of success for the program’s 4-year run with her. Jada Rhonehouse is averaging 7.5 points and 3.4 boards while shooting 43%. Shea also a reliable 71% from the charity stripe. Their frontcourt led by senior Ashya Klopfenstein and sophomore Gloria Miller fields one of the best in the NECC tournament. Westview is ranked in the middle of the pack on offense and defense. This team will need production beyond those two girls in order to give themselves a shot at going far in the tournament. Westview draws a favorable first-round matchup on the road vs the Lady Blazers, and their size should fuel some frustrations from the young Eastside squad. This is a no brainer as Westview will only be able to make a run beyond a first round victory if the future 1,000 point-scoring Center Ashya Klopfenstein comes up big for her team. Klopfenstein is 3rd in the NECC in scoring at 17.5 points and leads the conference in rebounds (10.7) and blocks (4.1) while shooting 50%. So far, we have seen the sophomore forward produce in double figures quite a few times depending on how the team does on each given night, but maybe here is where we see Gloria Miller become a player that the program can build around until the next generational talent arrives to the Topeka area. Miller is 11th in the conference in scoring at 10.5 points and 3rd in boards (9) while shooting 51%. This can be anyone at Westview since they don’t have a lot of noticeable names outside of the 2 forwards I mentioned earlier. Again, I prefer to take a senior in this one and I’ll go with Grace Miller. Not a big time scorer is the 5’2 guard, but if she can play a role on both sides of the ball, maybe Westview has a role player that can spark her team. Simply, their teamwork and effort on defense will be two factors that will give Eastside a chance to pull off an upset. That along with their speed will have to be case if they’re going to hang in with Westview and their lengthy frontcourt in their first round home game. This team has only mustered 36.3 points per game, which only Churubusco and Hamilton have worst offenses. They are also right in the middle on defense. This isn’t a team that has a “Star” player, but there are players that can make a difference for the Lady Blazers. One of them could be sophomore Sulli Kessler who has had moments of being a difference maker for Eastside. This could go either way, but I’ll take the junior McKensie Rieke. Prior to this season, Rieke played a small role on the Eastside offense and had been just a good defensive player off the bench. I think with her having a significant role on the team, I think she can have a scoring touch in the tournament. However, the challenge will be to generate offense against Westview’s size. Again, your seniors need to be your best players when playing in these playoff-like games. One of them is senior Shyan McKinley a 5’11 forward that has arguably been one of their best defensive players and maybe she’s the player that can at least contain the Westview firepower from the front court. Because KPC News and Goshen News don’t regularly cover Fairfield, unless you follow this team or you’ve been to the games, it can be difficult to analyze teams like Fairfield, especially when they’re very young. Fairfield fields the NECC’s 4th worst offense while being a middle of the pack team on defense. The Lady Falcons have lost 8 of their last 9 games in which they’ve scored 40 or more points once and are averaging 32.4 points during that stretch. Now, work ethic isn’t a problem for them. Instead, it’s simply lack of experience and not as much talent as the team that went to semi state last season. They draw a first round matchup at Angola on Tuesday. This is a team with little star power due to graduation of 6 players along with a couple transfers. The one player that stands out the most is junior Chloe Dell. She’s currently averaging just under 8 points a game and nearly 6 boards while shooting 38%. With junior Kara Kitson potentially sidelined with an injured, this could provide an opportunity for freshman Brooke Sanchez to step up as she averages less than 6 points a game and 3.5 boards despite shooting 34%. For me, I’ll take the senior Morgan Sanchez who’s averaging over 5 points a game over 4 boards and 1.3 assists while shooting 35%. Effort will be key for Busco to even stay in their first-round home matchup with Garrett. Even with that, it’s going to be very difficult for them to compete in this tournament. At best, a slight chance of an upset on Garrett, but those odds are against them to on paper. One of the smallest teams in the conference, the Lady Eagles have the NECC’s worst defense and have produced the second fewest points in the 12-school league. Their work ethic for the most part has been good and they’re leaning to win. But, the tournament is a whole another level and the seniors will have to their leaders throughout the week. Free throws may be crucial for Busco as they’re one of the bottom 3 free throw shooters in the conference at just over 50%. 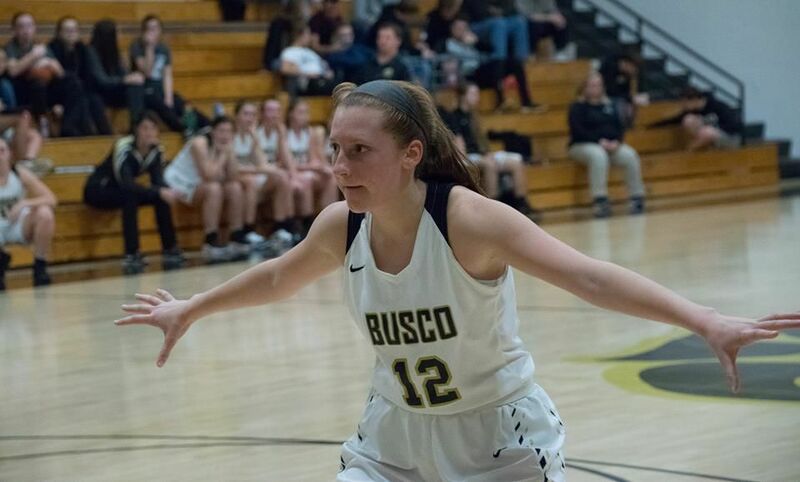 The one player that has been slowly on the rise for Busco is the junior forward Myah Bear. Bear is averaging 6.6 points, 5.8 boards, and 3.4 blocks a game while shooting 37% from downtown and 36% overall. So, I see her being the driving force for this Busco team moving forward and will do her best to give her team a shot in the tournament. This can range from almost anyone on that roster, but I think the two most likely candidates will probably come from senior Abi Erwin and junior Mariah Hosted. Erwin known more for her power on the softball diamond is averaging 5.3 points and nearly 2 steals. As for Hosted, she’s averaging 5.2 points 6.8 boards and nearly 2 steals. Lots of unsung heroes will have to occur at Busco to fight for another day , but again senior leadership is tested in the tournament. I’ll take junior Darian Manth as that title as she is averaging just under 5 points a game and leads the team in 3’s made despite shooting 29% overall. While the Lady Panthers numbers are underwhelming, this is actually their best record at this point of the season in 5 years. They also have some decent young talent led by junior Alexis German and freshmen Alayna Boots and Kennedy Kugler. 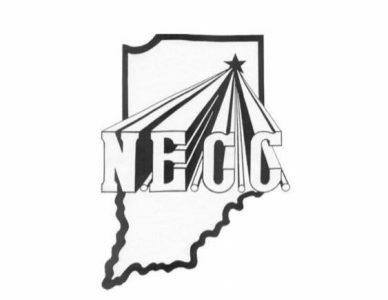 However, they are one of the smaller teams in the NECC, and for them to stay alive in the tourney, they’ll need to step up on defense where they have averaged 46.4 points a game, which is the 2nd worst defense in the conference and are a middle of the pack team on offense. They get a bye and host Fremont on Wednesday. Again, Heights has quite a few developing star players that are not seniors despite a mediocre record. Junior Alexis German leads the way as she’s averaging 10.8 points less than 3 assists and leads the team in 3’s made while shooting under 40% from downtown and on the field. Freshman Kennedy Kugler is another name to watch as she’s averaging over 8 points and 8 boards and has shown signs of breaking out offensively much like her 18-point performance @ West Noble. For me, this could be a welcoming party for freshman Alayna Boots who will play in her first conference tournament in varsity basketball. Boots averages about 5 to 6 points and can shoot from distance at around 30%. 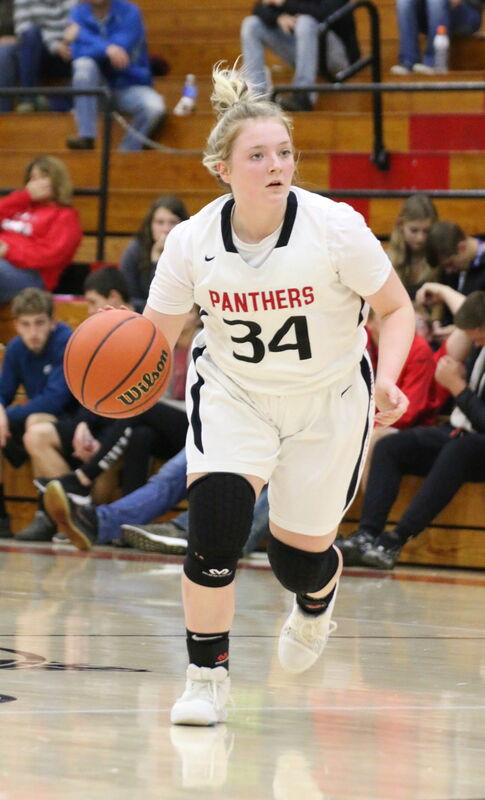 Lot of young talent with a lot to prove and I think the Unsung Hero for the Lady Panthers could come from their senior forward Kaitlynn Rumsey. Rumsey doesn’t shoot a lot but when she does she usually gets a couple baskets but she gets some rebounds and I believe leads the team in steals.